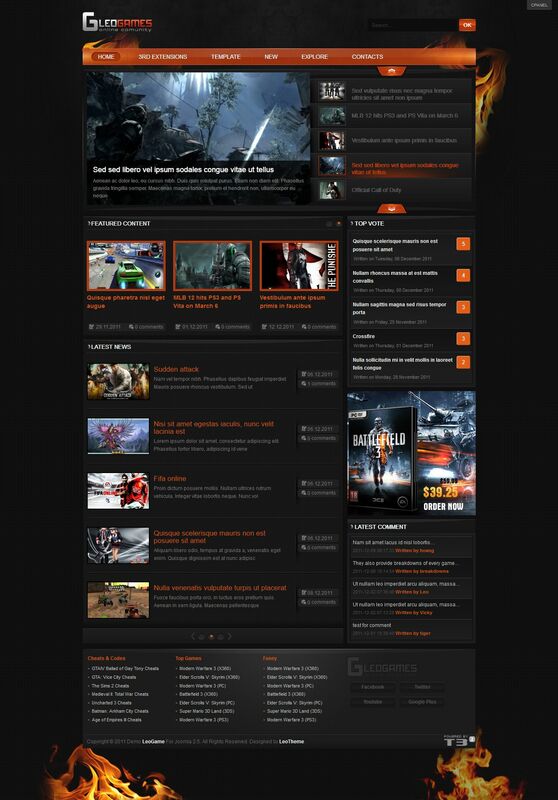 Leo Game - template is designed dark style has Krutetskiy design and build opportunities. Ordered code makes it easy to configure and install a professional website on "Games". Has four basic color schemes: Light - Blue, Dark - Red Dark - Green Light - Orange, K2 support, working on JAT3 Framework - giving you great flexibility and speed to use.